Perfect fusions at Imperfecto - CHOMP! SLURRP! BURP! Imperfecto is undoubtedly among one of the most innovatively done cafes in town with upcycling at its pretty best. Upturned chairs, spikes holding tissues and graters acting as tea light holders, this outlet of Imperfecto is not as breathtaking as the Hauz Khas one but it has its charms. An open bar and a wood fired over so that you see your pizzas being tossed and baked. They have upturned old school vessels which they double up and lights and heaters. Streams run through the open sitting area and the are bridges and miniature fountains to transport you to Neverland. Visit this place on an evening and you are sure to find yourself grooving to live music. 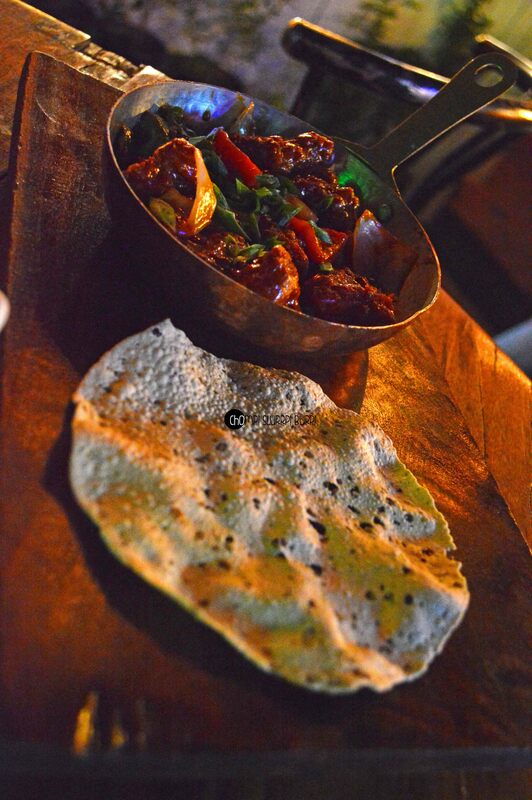 We ourselves swooned over romantic numbers while we gorged on our fusion food. 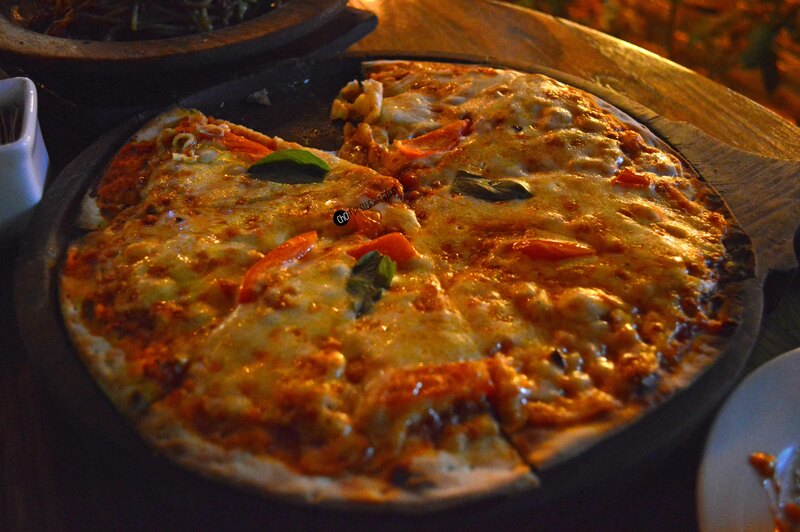 We ordered a portion of chilly chicken papadum, spaghetti keema mutton and a classic margherita pizza. The chilly chicken came with a desi papad, huge chicken pieces very juicy and succulent and tossed with bell pepper and onions. The papad they served could have been used in a more innovative manner. 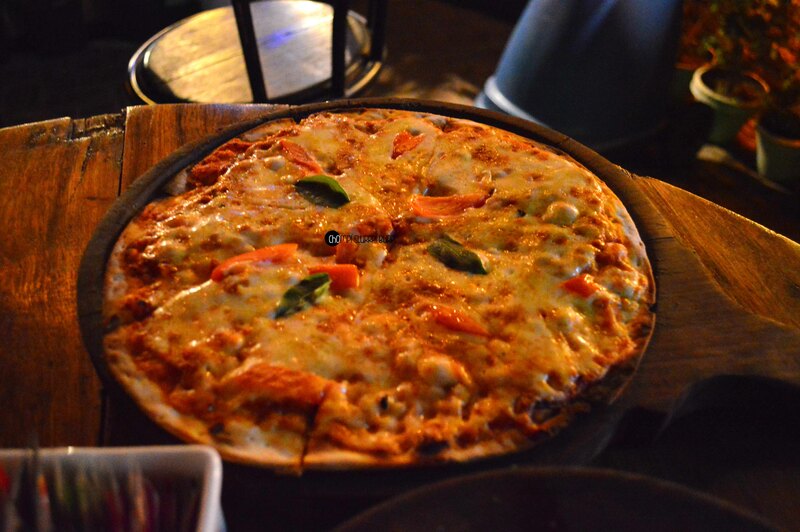 The pizza was hand tossed and baked to a crispy thin pie with oodles of cheese topped with basil and olive oil. 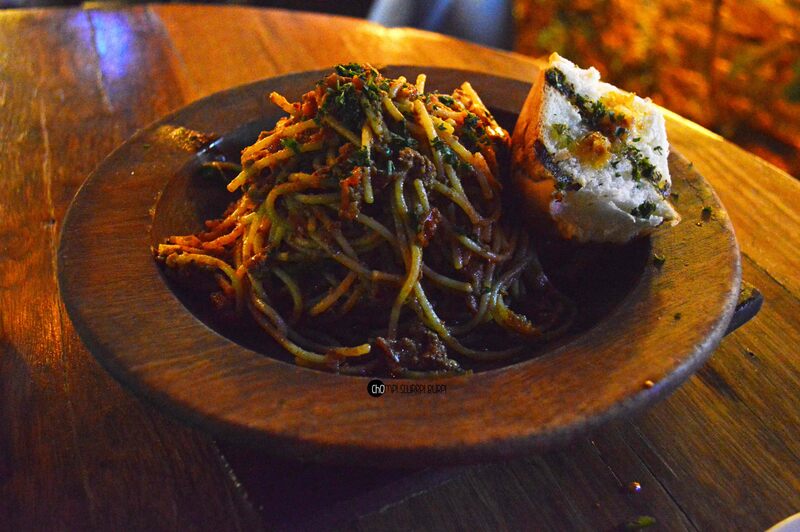 Coming to the ultimate fusion and I know the picture doesn’t do any justice to it but spaghetti done al dente tossed with lamb keema and spices served with a rather pav lined with coriander chutney. 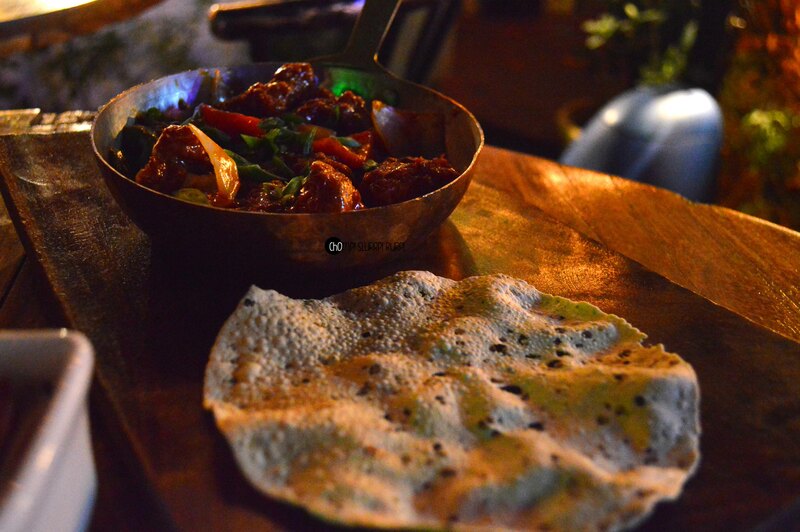 If fun drinks, fusion food and live music is your kind scene – this is your kind of a place. The only glitch I feel with Imperfecto properties is that as gorgeous as the interiors are, they don’t really let you capture it and are told off quite rudely by the staff if you decide to take a walk with your dslr.